DOWNLOAD NOW BEFORE THE PRICE GOES UP!! 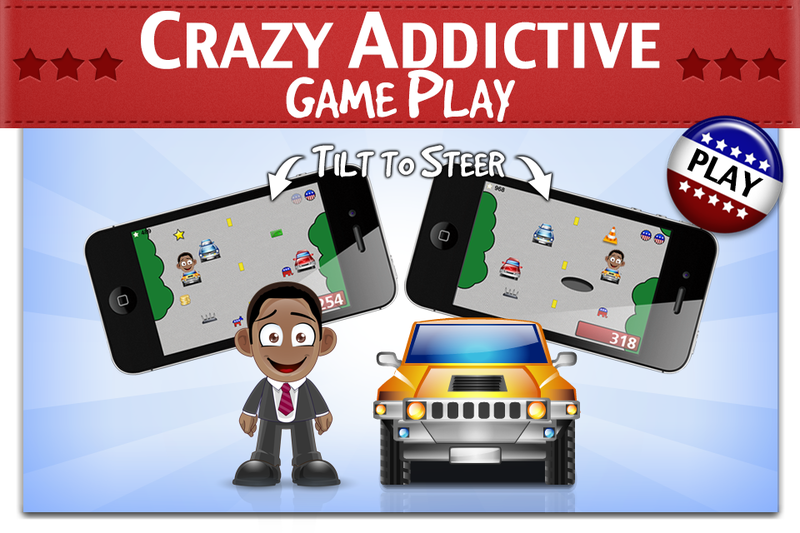 ✓ The hottest arcade app on the app store!! Hey, your nation needs you! HOW MANY CAMPAIGN POINTS CAN YOU COLLECT? 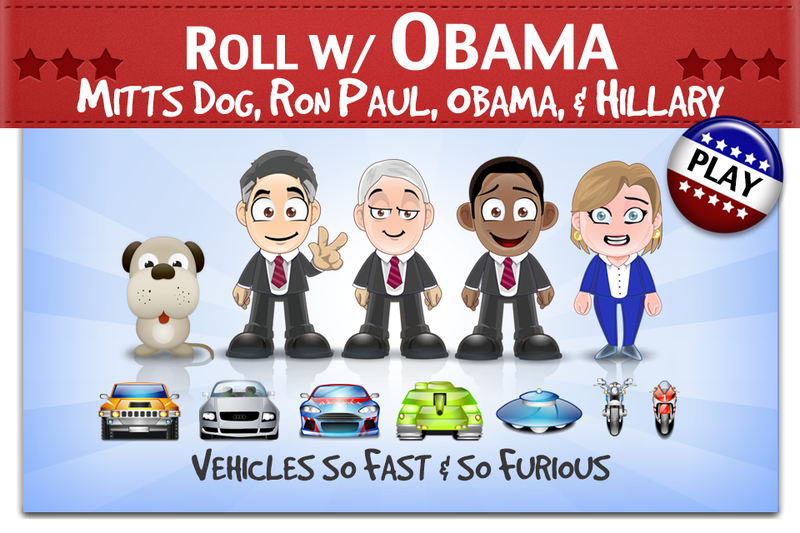 - Buy the character pack so Mitt Romney, Hillary, Ron Paul, & even Mitt's dog can join the excitement! - Buy additional vehicles for more fun! 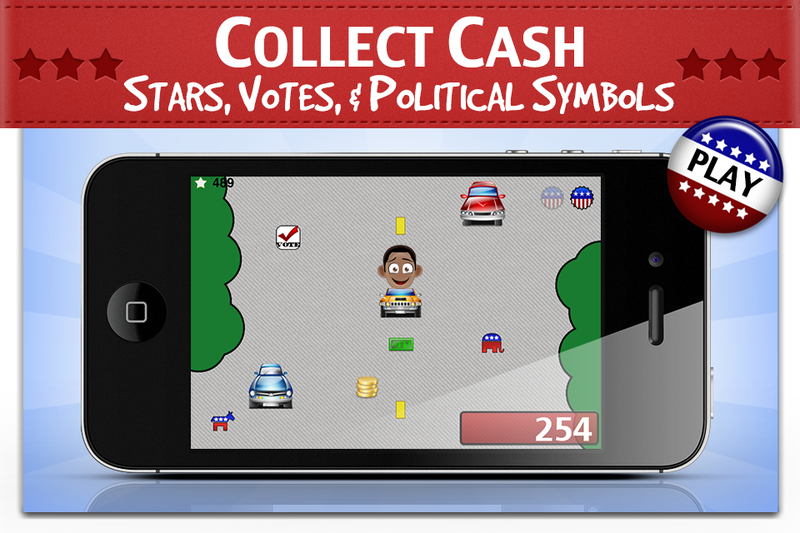 Collect as many points as possible and post your score to facebook to compete with your friends. The future of the country is in your hands! Don't let the people down!